A note about Nan Chauncy: she was a Tasmanian author who wrote classics like “The Found a Cave”, “Devil’s Hill” and my favourite, “Tangara” – the story of Lexie, a white Australian who befriended an Aboriginal girl, Merinna. 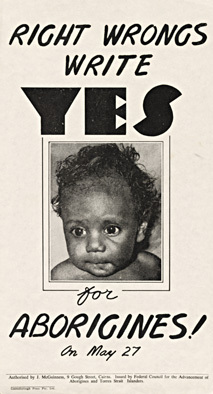 It was one of many Nan Chauncy publications that addressed Aboriginal issues. 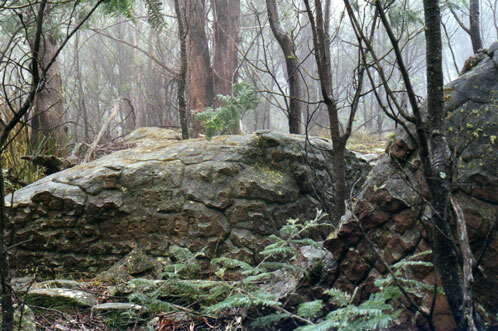 Nan Chauncy lived on a property named Chauncy Vale, near Baghdad, north of Hobart. She died in 1970. 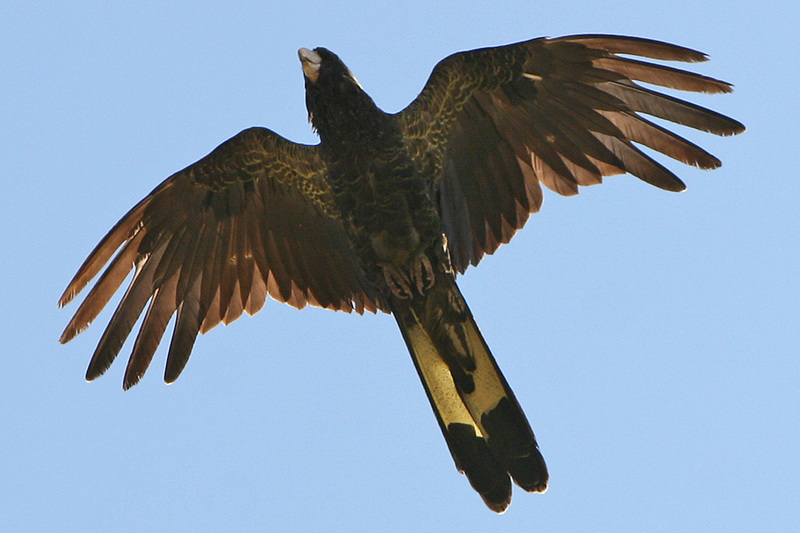 When I was a little girl, maybe about ten years after you died, my mum read me your “Tangara” and I loved it. I used to wander our garden and pretend that I was Lexie, the river bank a gully and that any minute Merinna would peek out from behind a tree. I wish she had. Our school took us to Chauncy Vale for an excursion when I was 7 and I was sure I’d find Merinna there but of course I didn’t. I wish I had. Twelve years later I was completing my schooling, thinking about boys and worrying about pimples, ‘Aboriginal’ meant a daggy diorama at the museum, ‘reconciliation’ meant not much at all and something momentous bypassed my self-centred thick-head. You see, Nan (can I call you Nan? ), on the 3rd of June 1992 twenty – years from last Sunday – the High Court of Australia rejected the doctrine of Terra Nullius in favour of Native Title. 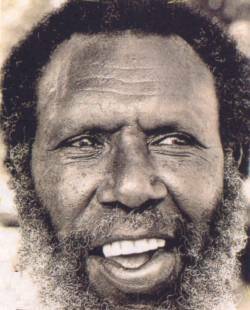 As a result, the traditional lands of Eddie Mabo and his people in the Murray Islands (Torres Strait) were handed back. You remember Terra Nullius of course – land belonging to no-one, which justified the British settlement of Australia? Well the Native Title Act of 1993 gave that the big old bird and made law of the fact that some Indigenous people have land rights stemming from long possession, history, tradition and custom. We’ve been hearing a lot about the Mabo decision because of the anniversary and because it was National Reconciliation Week last week, which also co-incides with the anniversary of the 1967 referendum. I’m glad you saw that one happen, you must have been thrilled to see 90% of white Australia vote to include indigenous people in the census and to allow the government make laws for them. Things must have really looked like they were getting somewhere. You already saw through their eyes, didn’t you Nan? You saw the wisdom. You were way ahead. Later in 1996, the Wik people of Cape York made a claim on crown land leased to pastoralists by the Queensland Government. The High Court ruled that pastoral leases and native title, with it’s rights and interests, can co-exist. A controversial decision which was amended by Prime Minister John Howard to state that if there is inconsistency between two claimants, the pastoralists will prevail. 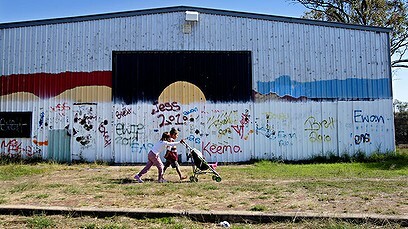 Still, it kicked another bit of a goal for native title. I cried. I was driving to Launceston from Hobart at the time (past your home) and I cried most of the way. It was huge – such a moving, hopeful moment. But now, 4 years later, I don’t really feel that hope anymore. I read the sorry speech transcript and when I read how Kevin Rudd determined to erase “this blemished chapter in our nation’s history” saying, “the time has now come for the nation to turn a new page in Australia’s history by righting the wrongs of the past and so moving forward with confidence to the future“, I feel like he’s saying, let’s get this bloody apology out of the way and that nasty business’ll all be fine and as a bonus I’ll score some votes now moving on… I’m probably being over-pessimistic and maybe my aversion to Kevin Rudd and the way he delivered his speeches like a smarty pants head prefect is tainting my view, I’m sure it meant everything to some at the time but I wonder how they feel about it now. Only last week – at the beginning of reconciliation week – the ABC reported on an Aboriginal community in Queensland called Toomelah, where the Gamilaroi people are losing their identity, their dignity and their reason for being. Violence and child abuse are rife in Toomelah, despite tens of millions of dollars of funding being spent there in the last few decades. The report stated (and showed) that, “The scale of the dysfunction locked inside the tiny Aboriginal mission of Toomelah is breathtaking”. There are rumours of Government intervention and/or relocation but as yet there has been no action. My question is, why do we bandy around words like recognition and sorry but still not see through their eyes? Why are we throwing money at the problem without fully understanding what the problem actually is? Why are more people not talking about this? When ABC reported on the maltreatment of exported cattle in Indonesia, the whole country was up in arms. The National Reconciliation Week theme for 2012 (harking back to Keating in Redfern) was “Let’s talk recognition”, which is great, but I bet that the myriad of worthy events being held throughout the country were attended by people who already recognise what was done – what about the ones who don’t? And by the way, when I searched for Tasmanian events in the NRW program, there were none listed – truly! Nada, nuffin’, zilch. Here were I live on the East Coast of Tasmania, I can read that there were bands of the Paradarerme or Oyster Bay Tribe who lived close to here, but that’s about it. I know nothing of the history of my home before it was a farm called “Marchwiel” with a stone house and some sheep. I want to know who knew and loved this land, or at least who passed through or met here prior to the arrival of people who documented their presence via writings, buildings and scarred earth. I hate that whatever songs might have been sung here have been lost forever. I wish I could hear them, and talk to my own Merinna about what they mean. In Tasmania, this is the only song we have. 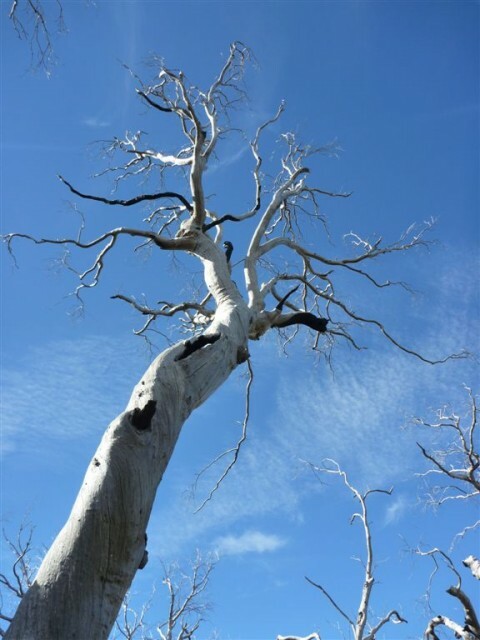 For the moment I can think of a vanished population when I look into the ghost branches of a dead gum tree, or of the lost children when I hear the shriek of black cockatoos down from the mountains. I can write a bit about it, dream about it and talk a bit about it, but what really needs to be done Nan? I wish you could tell me what you think. Here are some of my thoughts: I think signs and symbolism should be everywhere – cockatoos, gum trees, music, rivers, mountains, names, language – everywhere we turn there should be reminders of the people that were here first. I think we should give Tasmania back its first spoken name of Trowena, or the Palawa Kani version, Lutriwita. I think “Tangara” and other books like it shouls be on the reading list of every school reading list, I think more books like yours should be written, perhaps through Arts grants, I think the music of Geoffrey Gurrumul Yunupingu should become some kind of national soundtrack (oh I wish you could have heard it Nan, it’s is like magic – just last week he sang for the Queen on the occasion of her diamond jubilee – I know, ironic, I know, 60 years the old girl’s been in the hot seat! ), I think skills like bush tucker and fire stick farming should be taught as commonly as English…. Do you think I’m too extreme? Do you mind if I try writing a prequel to Tangara one day? I think I’m getting overwrought and irrational so I might leave it there. I am sorry to disturb your peace. PS What’s it like over there on the other side? Meg…. Bagdad has no H! It was named after the early English version of the place before they realised it had a H. Thanks. oooh thanks Deb. I’m clearly not reading my road signs well. I am thinking of taking my children to Chauncy Vale for the next open day – have you been lately and do you recommend? Haven’t been since my girl was at Primary School…. I know during school holidays they have special things on at the Vale but at the moment it’s a bit wet out there, so if you do come, bring gumboots! I am a member of a small reconciliation group working for Indigenous Justice. We would like to use the photo of the two girls at the top of your posting. Can you give permission for us to use it?